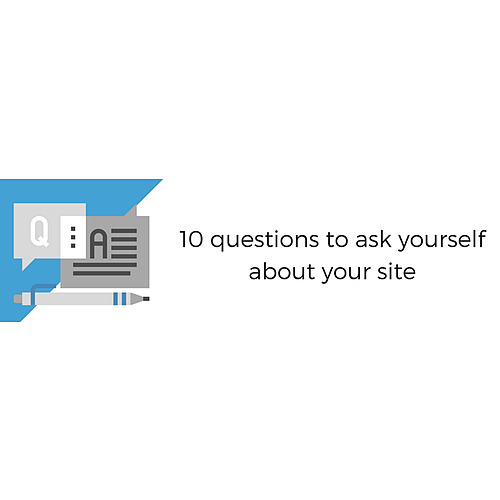 If your website is not performing to the level of your expectations then here are a few questions you need to ask yourself. 1. Does your website have some form of lead generation component to it? It is vitally important that your website have a mechanism to encourage website visitors to leave their contact details. Your web site should have either a competition or a free download of something of value to encourage more visitors to join your e-mail database. 2. Is your home page professionally laid out? A good first impression will help increase your trustworthiness as a business operator. Make sure you have appropriate text and graphics in your homepage area. Spend time on your home page content using your content management system. 3. Have you gone through and checked every web page and made sure that it is laid out professionally with appropriate text and pictures? Backing up that first impression with a well put together website, across all your information and product pages, enhances your trustworthiness further. It is all about trust. 4. Do you provide appropriate information to your customers so that they can easily make a buying decision? Have you allowed the template text to remain on your website? or have you customised the information to suit your target market? Have you made sure you have good product information? or have you put in 3 sentences and a fuzzy picture? 5. Have you thoroughly tested all aspects of your website, and written up a list of issues and problems to be resolved and had these attended to? Web sites are not a series of static pictures that linked to each other, but an actual computer program that operate according to certain rules. Computer programs can have or develop problems (Just use windows). You need to thoroughly test your website to identify if any issues are apparent. 6. Do you regularly place a test order through your website, so you understand the purchasing process? It is amazing how many website owners don't place orders on their own website ever to test it. You need to test that the ordering process makes sense and is appropriate to your target market. Factors such as freight being calculated incorrectly can stop purchasing, so you need to take responsibility and make sure that freight and other factors are not causing people to abandon your shopping cart. 7. Do you have appropriate expectations for your industry? There are some industries, which will benefit more from a website than others. Are your expectations appropriate. For example, a bricks and mortar business can benefit substantially more than a pure on-line business because a bricks and mortar business has a larger initial customer base with which they can market back to and the customers gain confidence by having dealt with the bricks and mortar business leading to on-line confidence with that same business. 8. Do you constantly keep in contact with your database via e-mail, post and special offers? The most successful websites are the ones that build repeat business from their initial customer base by keeping in touch using e-mail, e-mail offers, information as well as offline promotion. Keep in touch monthly. 9. Do you engage in a multitude of other marketing efforts or do you just hope to have all your visitors find you from search engines. Internet marketing is just one aspect of a businesses overall marketing requirements. Businesses that rely just on Internet marketing are rarely going to be successful. 10. Do you have a well thought out and executed follow-up strategy for each new sales lead that comes to your attention? We have often found, that is not the web sites capacity for producing sales leads, but rather the businesses way of following up on these leads that leads to poor conversion rates. The activation of a sales lead is just the first step in the sales process and a number of communications are usually required before the prospect is confident enough to commit to a buying decision. How are you taking care of each sales lead that comes across your table? Do you have a planned out step-by-step process that you try and take each sales lead through? We hope you find these 10 questions thought provoking.